Untitled Document The AVR-1713 allows you to enjoy not only the dynamic surround sound of the latest 3D videos in a 5.1-channel home theater but a variety of advanced network functions as well. These functions let you listen to Internet radio or play music files stored on a shared hard disk (NAS) or PC. Since the AVR-1713 also supports AirPlay®, you can listen to music content from the iTunes® library in your iPad®, iPhone®, iPod®, iPod touch®, or PC/Mac via the network. 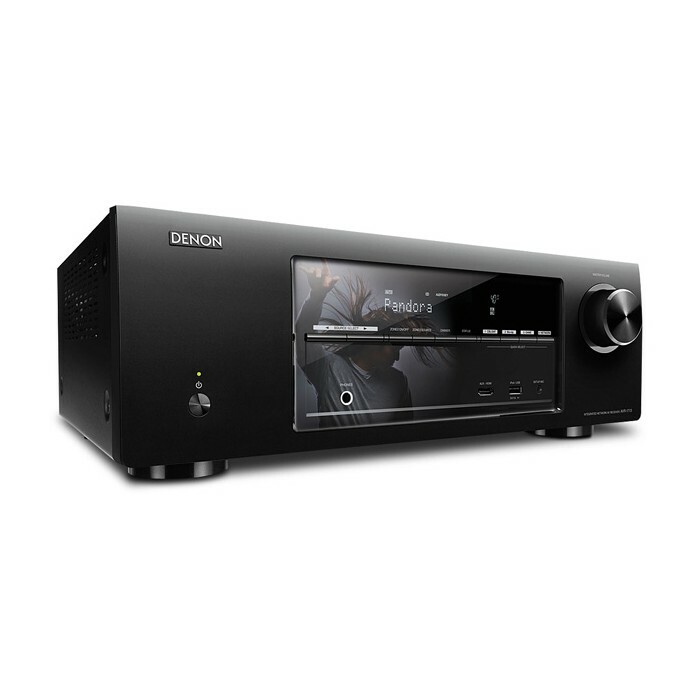 In addition, if you download the new Denon Remote App to your iPad, iPhone, iPod touch, or an Android smartphone, you can use the device to operate the main controls of the AVR-1713. The AVR-1713 supports multi-zone operation, allowing two different sources to be enjoyed in separate rooms at the same time. Equipped at the front with HDMI input allow you to easily enjoy the increasing number of devices equipped with HDMI video output, such as video cameras, smart phones, and game consoles. Equipped on the front panel with a USB terminal that supports digital connection to an iPod or iPhone. This allows you to easily enjoy in high-quality sound the music saved in an iPod or iPhone.